This article is continued from the previous Hypothesis article. In case, you have missed it, please read it to understand the solutions here better. Samuel was not only ambitious but a problem-solver. Once he found the root of all problems, finding the solution was easy. He quickly called a meeting with all departments and listed down their problems. Since he had experience of working with high-tech software in his previous company, he listed down all the software systems that could tackle this problem. Soon he met with a brick wall. Those software were steeply priced and beyond the reach of their start-up company. Also they required specialized technicians and skilled staff, again a no-no. The answer came to him when he Googled for a one-stop software solution that could handle workflow, security, invoicing and emailing and he found Docsvault. Docsvault document management software is equipped with a wide range of features that cover all the simple, intermediate and complex needs that arise in small to mid-level companies. Automated workflow smooths out the edges in production and sales department. Quick Scan, Rubberband OCR and PDF annotation makes invoice approval faster and more accurate. This enabled them to get early payment discounts from suppliers and established a strong work relationship. Email automation, document notes, version notes, etc. made communication smooth in weeks. Within three months, Samuel had made optimum use of Docsvault and solved all the immediate problems and within a year he was made Sales VP by the directors. On the other hand, things were not so easy for Hannah, as her old-school father was not ready for changes. His team had been working with the old methods since years and had grown comfortable with the pattern. To break the pattern and make the veteran members realize the wastage of resources, she made ‘Go Green’ and ‘Save trees, Save Mankind’ Posters throughout the office. When people became more receptive towards her ideas, she introduced Docsvault – an easy document management software that requires minimum learning curve. People started enjoying the ease with which their tasks where being completed and made full use of features like document notes, workflow, task notes and task reminders; end result – apart from saved paper and ink (which was Hannah’s first priority), the media company also saw improved productivity and renewed vigor. While Samuel and Hannah saw benefits in less than a year, Dr. Gandhi was not as lucky. He had lost all the data and couldn’t revive it. However, he had learnt his lesson the hard way and the first thing he did after setting up shop was implementing a software solution that could fulfill HIPAA obligations. His search ended with Docsvault a friendly, easy-on-pocket software solution that provided him with all the necessary tools such as access control, audit trail, security, records retention, digital signature, automatic back-up and restore and email archiving. Docsvault has helped thousands of such organizations and people in need of a solution for document management, security and compliance. It has provided them with multiple other benefits that have led to increased performance and profit margins. 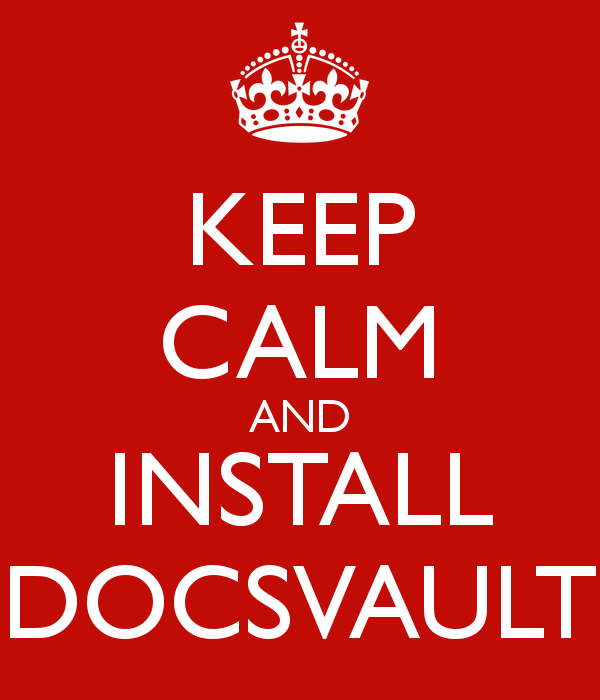 Whether you are a small business entrepreneur, agency or a mid-level organization, we urge you to try Free Docsvault Trial for 30 days so you can experience the benefits yourself. For more queries and questions, head to our Contact us page and we will be glad to help you out.